The next device in HMD Global’s line-up is going to be the Nokia 7.1 Plus, which is slated to launch sometime in October. This smartphone which goes by the name of Nokia X7 in China will be rebranded as the Nokia 7.1 Plus for its global launch. As per the latest update, the phone has received TENAA certification on the Chinese website and has been listed online thus revealing its detailed specifications and major pointers. The 7.1 Plus will be arriving as a successor to the Nokia 7 Plus which is one of the best mid-range smartphones available for purchase today. And the upcoming Nokia 7.1 Plus will likely be priced aggressively as its siblings- Nokia 6.1 Plus and Nokia 5.1 Plus are retailing for excellent prices in India. This essentially means that Xioami’s Mi A2 and Realme 2 Pro will get a new competitor very soon. The Nokia 7.1 Plus has been listed on the Chinese TENAA certification website with the model number TA-1131. 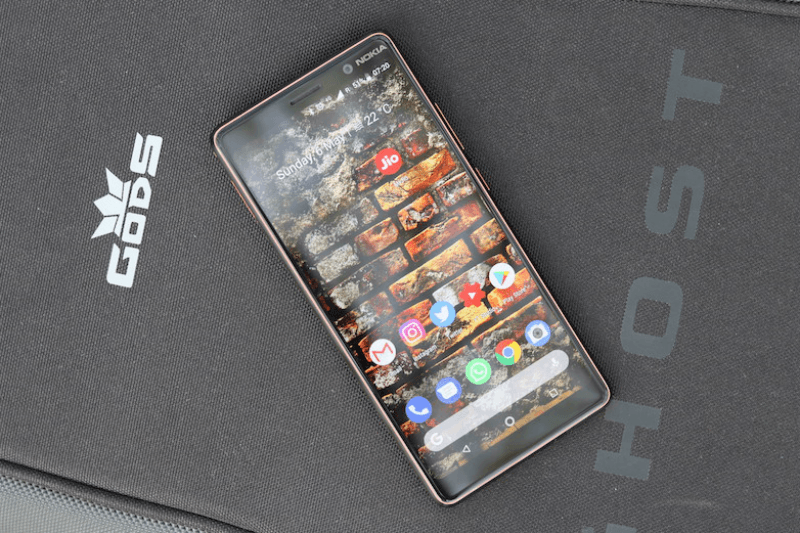 Although the listing does not reveal the detailed design or aesthetics of the Nokia X7 or the Nokia 7.1 Plus, the detailed specifications have been made public on the website. It has been mentioned on the site that the TA-1131 model, or better known as the Nokia 7.1 Plus will measure 154.8x x 75.7 x 7.97mm in dimensions and it will weigh 185 grams. The phone will come in three colour variants which will include red, silver and blue. The Nokia 7.1 Plus has been said to come with a 6.18-inch display sporting a resolution of 2340×1080 pixels on display with a resolution of 19:9. The phone will also sport a notch up front with trimmed down bezels, however, when compared with the Nokia 7 Plus, the phone will be a little bit smaller, since the Nokia 7 Plus gets a 6-inch Full HD+ IPS LCD with a multitasking split-view which allows you to use two windows at once. However, the older Nokia 7 Plus misses out on the notch and features an 18:9 aspect ratio. As per the listing, the Nokia 7.1 Plus will sport a processor which will clock 2.2GHz in frequency, and the name of the processor remains unknown. However, the rumours point toward the Snapdragon 710, but looking at the clock speed, the processor can also be Snapdragon 660. The phone will be launched in two variants of 4GB RAM with 64GB of Storage and 6GB of RAM with 128GB of internal storage, and there is also going to be the option of expanding the internal storage via a microSD card. The phone will even come with a fingerprint sensor which will most likely find its place on the rear side. In the camera and imaging department, the Nokia 7.1 Plus will flaunt a dual rear camera setup comprising of a 13MP primary sensor and a 12MP secondary sensor at the rear. For selfies, the device will get a 20MP snapper on the front. The battery on the device is going to be a 3400mAh one. The TENAA listing has also detailed that the phone will boot Android 8.1 Oreo, however, being an Android One device it will be soon getting the Android 9 Pie update. HMD Global also started rolling out the Android 9 Pie update to Nokia 7 Plus, making it the first device under the company’s first portfolio to get pushed to the latest iteration of Android. The Nokia 7 Plus packs an octa-core Qualcomm Snapdragon 660 processor which comes with AI optimisations. The phone features a 6-inch Full HD+ IPS LCD with an 18:9 aspect ratio and a resolution of 1080 x 2160. The battery on the device is a 3800mAh one and it packs 4GB RAM and 64GB internal storage. Speaking of the camera, the phone comes with a dual rear setup of 12MP+13MP and a 16MP shooter on the front. The Nokia 7 Plus offers a lot of customisations in the camera department thanks to the manual mode, and it also comes with 2x optical zoom. Should Xiaomi MI A2 be worried ? No, because that is a non-issue. The Mi A2 has already been rendered irrelevant by Xiaomi’s own Redmi Note 5 Pro and, for a little more, the Poco F1. And then there’s that Realme 2 Pro. Though Honor 8x is not too far off from getting unveiled either, so there are a lot of options. But still its one of the great camera phone for that price bracket. Nokia 7.1 Plus will rule Indian market if camera is great and priced aggresively at 22000-24000. Waiting for the Nokia devices with Snaodragon 845 and 855 with 3500 Battery. Nokia Cheated me of Rs 16000/= with Nokia5;most worthless phone marketed. Wish I could have traded it oor exchange it for a better. Nokia is finished I wish it quick death.